Iron Gate Motor Condos, Naperville Illinois. Unit featured: Mark Karolich, owner. 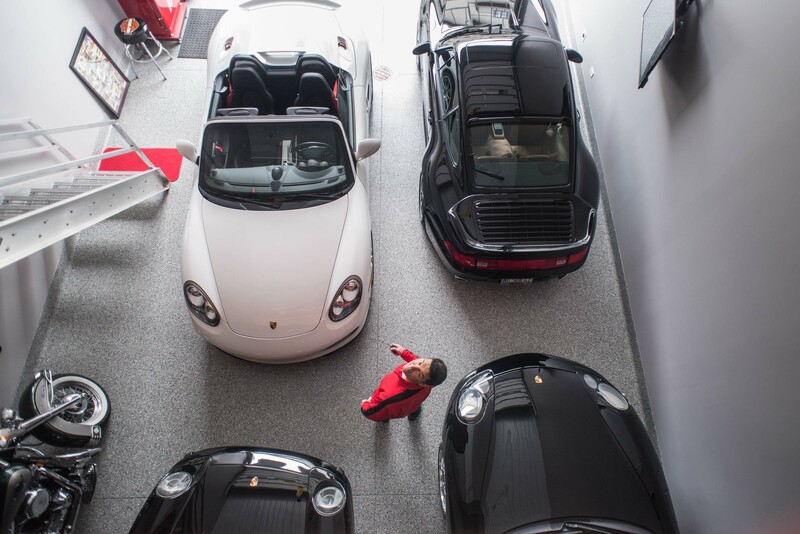 The condo features a lofted living/entertaining space above his four-car Porsche collection. Mark is in red. His cars: 2012 Boxter Spyder (white)1997 911 Turbo (black, aside the white Boxster) 1997 911 C25 (black, in front of white Boxter) 1999 911 C2 (black, diagonal to white Boxster).